Amsterdam is perhaps one of the few cities in the world where you can mention tulips, windmills and casino in one sentence. Amsterdam's only casino, the Holland Casino, has dug deep into tourists' affections (not to mention pockets). The tables are handled electronically, including blackjack and roulette and they also have a fancy restaurant and bar in tow. Even a non-poker player has things to do, with plenty of games to make it worth one's while. 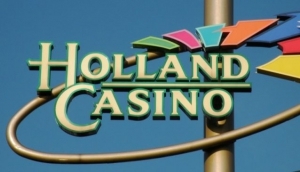 The Holland Casino has another branch in Schiphol Airport for you to try your luck while you're waiting for your flight.